The past couple years have been busy ones for Fortis. As a mining subcontractor and contractor, we have successfully completed a number of projects for local potash mines in Saskatchewan. We are particularly proud of the mine service work we have completed at PCS Rocanville. Installation of mine hoist head ropes, balance ropes, guide ropes and rub ropes in the PCS Rocanville Scissor Creek new service shaft. Installation and commissioning of the new mine shaft service cage and counterweight. Removal of existing mine hoist ropes. Replacement of existing shaft bottom steel and tie in to new shaft tower structure, as part of the conversion from a mine service shaft to mine production shaft. Installation of the new production shaft hoist head ropes, balance ropes, guide ropes and rub ropes as part of the conversion from a mine service shaft to mine production shaft. Installation and commissioning of new 50 Ton production skips. 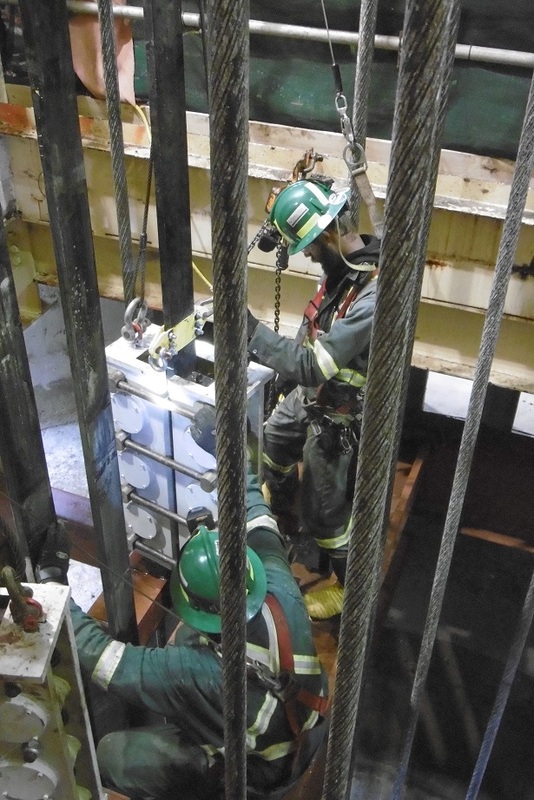 For both projects, Fortis was instrumental in the development of methodologies and safety procedures. As an example, Fortis developed a unique methodology for installation of both skips in No.2 Shaft from the same side of the headframe, saving a considerable amount of time during installation. Both jobs were successfully completed on time and without injury! At the completion of both Rocanville jobs PCS was particularly happy with the training their employees received in the transition phase, which resulted in a smooth turnover and another happy Fortis customer! Fortis Mining Engineering & Manufacturing is proudly Saskatoon, Saskatchewan owned and operated. "Fortis is your partner in providing mining solutions."